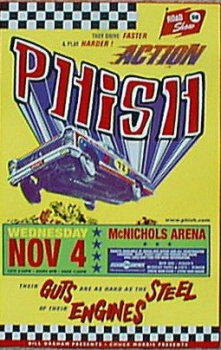 As we prepare for the next run of Colorado Phish, here is a show from Denver that followed up the infamous McNichols stand of ’97. A dark-horse offering amidst the meat of Fall ’98, check “Piper > 2001” in the second set for the standout segment of the show. The first set’s “Bathtub Gin” and “Yamar” are solid versions while “Frankie Says” developed into an ambient jam a la Fall ’98 on the way to a set-punctuating “David Bowie.” Coming directly after Utah’s “Dark Side” show and Halloween in Vegas, it’s no surprise this night has lived in the shadows for so long. In trying to make this round easier, I think I accidentally made it harder. But this week’s champion, “Ginseng” Jeff D is always up for a challenge. After placing second last week, Jeff takes home this week’s trophy by scoring 15 points – 6 more than the closest contender. This week I got nearly thirty entries – 3 times as many as last week – so thank you to everyone for playing! 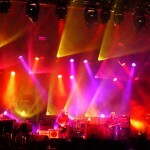 This game could grow into a nice little weekly tradition here on Phish Thoughts. We shall see. For now, here are the answers and the standings. This laid-back, swanky “YEM” came as the encore in Tokyo on the first night of Japan Tour 2000. This entry was posted	on Saturday, October 2nd, 2010 at 1:30 am	and is filed under Uncategorized. You can follow any responses to this entry through the RSS 2.0 feed. Both comments and pings are currently closed. ^ its not in the archive? it’s the only show missing out of the run. could be misplaced in another year. will look around. what a day of football! As a skins fan I’m glad we eeeked it out. I can’t believe that in 1 week we’ll be in Broomfield! Can’t wait. 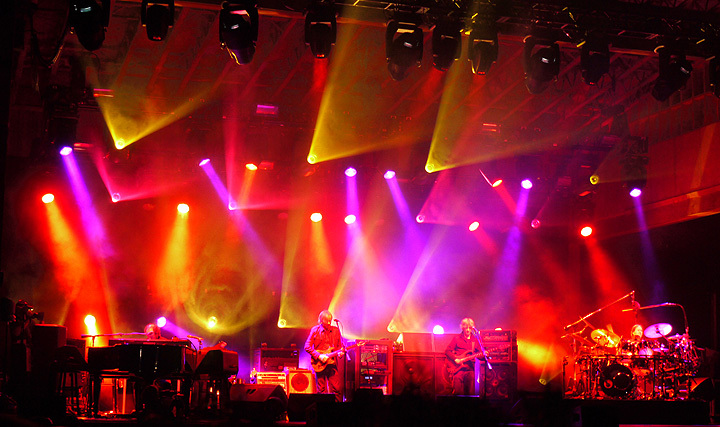 I can’t stop wondering what direction phish will take this fall! made it home from Charlotte today after a ten hour drive. Thankfully no where near as hung over as I was last time I drove back from NC. Came home to the wife and she had used her weekend well as well, creating a sculpture that pushed her up to the next phase of her development. Enjoyed a Two-Hearted with her at the studio. Got baned at a friends house. Came home to both my Charleston tickets.